(BPRW) Marvel Studios’ CAPTAIN MARVEL opens in U.S. theaters on March 8, 2019. | Press releases | Black PR Wire, Inc.
Press Releases » Arts & Entertainment » (BPRW) Marvel Studios’ CAPTAIN MARVEL opens in U.S. theaters on March 8, 2019. (BPRW) Marvel Studios’ CAPTAIN MARVEL opens in U.S. theaters on March 8, 2019. 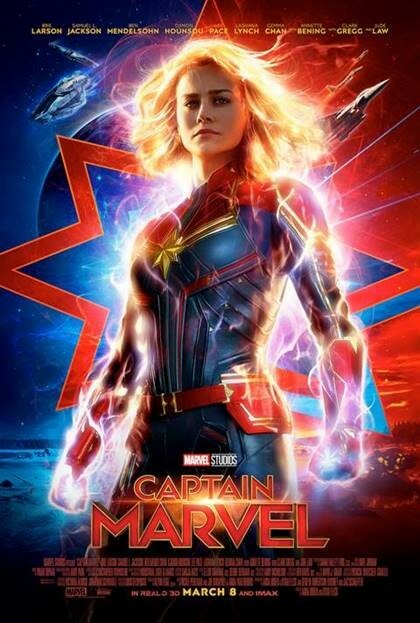 (Black PR Wire) Set in the 1990s, Marvel Studios’ “Captain Marvel” is an all-new adventure from a previously unseen period in the history of the Marvel Cinematic Universe that follows the journey of Carol Danvers as she becomes one of the universe’s most powerful heroes. While a galactic war between two alien races reaches Earth, Danvers finds herself and a small cadre of allies at the center of the maelstrom.